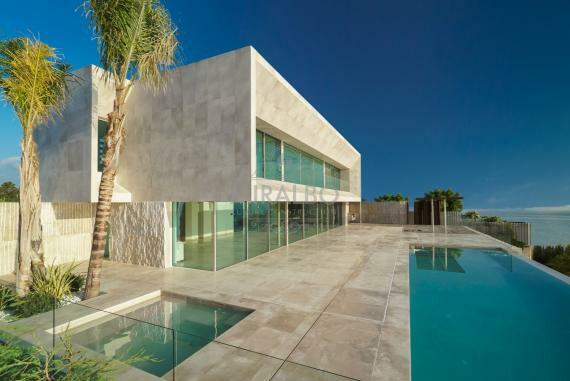 9m high palm tree in the patio, unusual form, special marble blending, cinema, discothek. 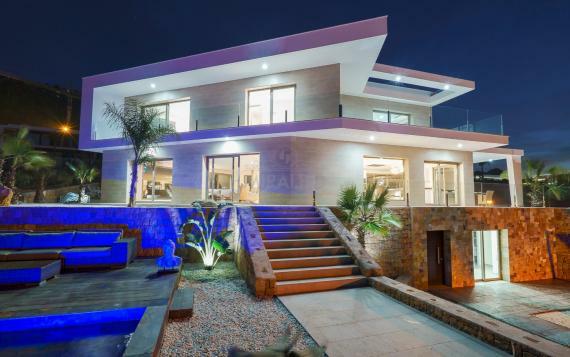 Design of an unusual shape, combinded with special treated marble finishes, James Bond themes througout the house including cinema and discothek. 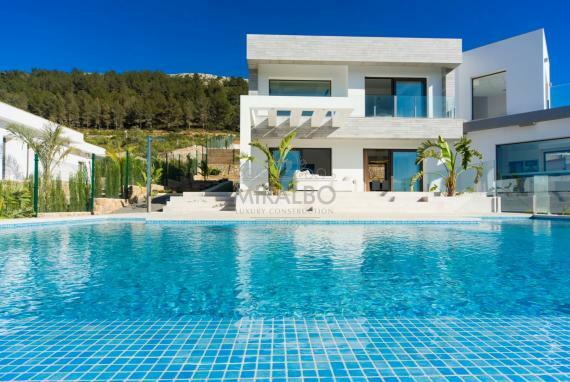 This charming villa is located in the beautiful area of Javea on the Costa Blanca and enjoys wonderful views to the Montgo. 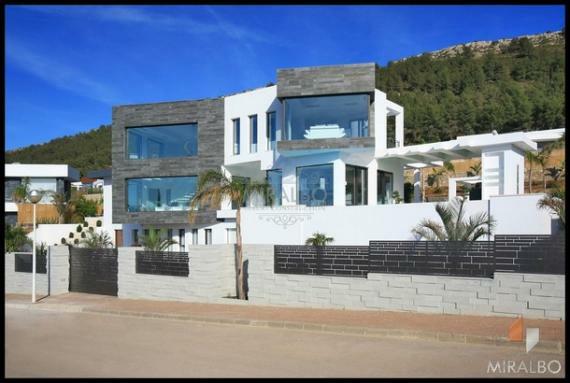 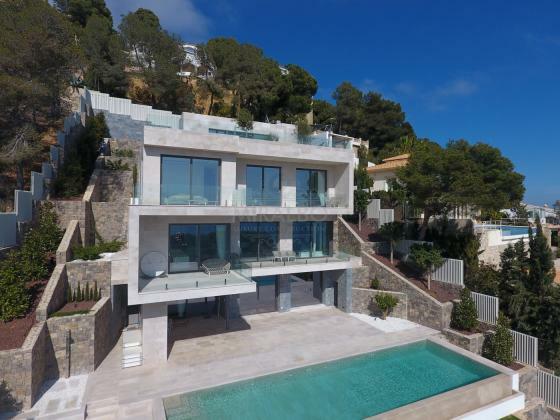 It is located in one of the most modern urbanisation of Javea, just 8 minutes from the beautiful promenade El Arenal, with its beach, restaurants and shops. 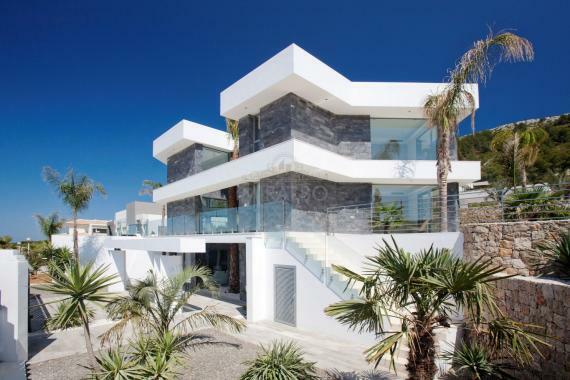 The house design is adapted to the customers’ requirements. 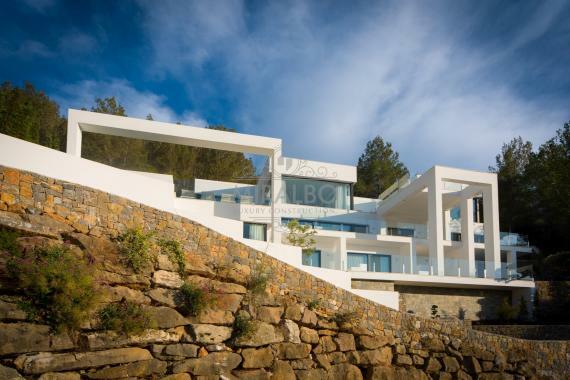 The villa sits on a plot of 1400m2 and has 316m2 to build. 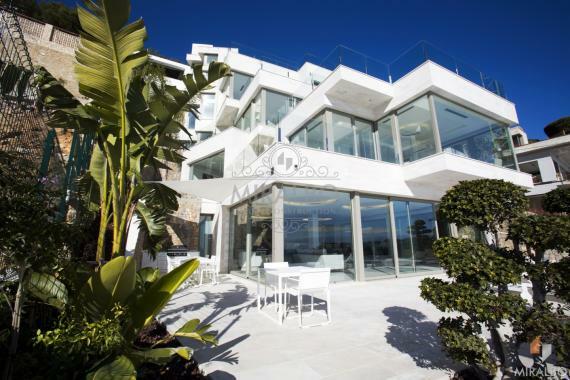 The property is distributed over 3 floors being downstairs the party room and a cinema room in James Bond style. 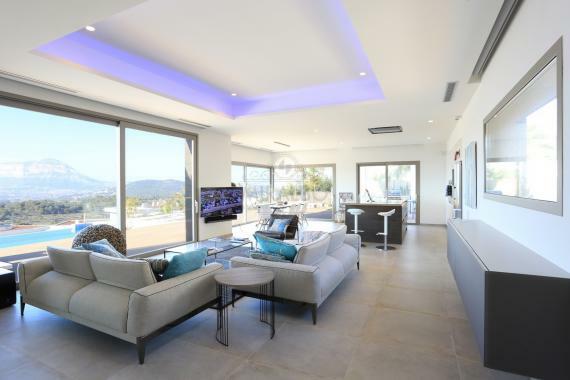 The first floor counts with a spacious living room, a fully equipped kitchen and 2 bedrooms with bathroom en-suite and a guest bathroom. 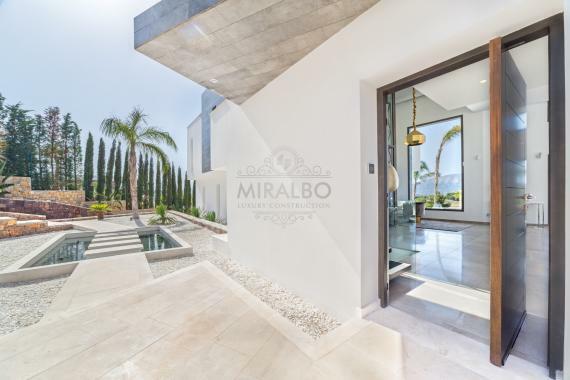 The second floor disposes of two bedrooms with private bathroom and huge views on the natural park of Montgo and the sea on the horizon. 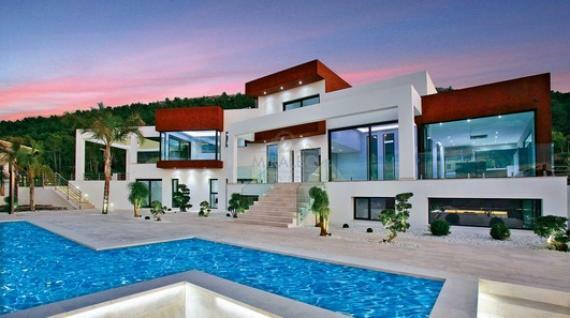 On the outside of the house there is a large terrace with an infinity pool.